The Indian smartphone market is the fastest growing in the world. Everyone wants a piece of it, but not everyone can figure out a way to dominate. The smartphone market here in India did see a lot of turbulence ever since its inception. It was kicked off by Indian manufacturers like Micromax, Lava, Intex and more who would get reference designs from China and sell phones in India based on that. Soon enough, the Chinese brands themselves figured out the potential India carried and thus started the onslaught of Chinese brands like Xiaomi, Huawei, Oppo, Vivo and a dozen more. While the manufacturers themselves went in and out of the market, with fortunes changing hands every few years, one key player remained constant. Taiwanese chipset designer, MediaTek. The company found success in offering reference designs and turnkey solutions to smaller manufacturers who didn’t have the resources to invest in R&D. The chipsets designed by the company have been powering entry-level and mid-range phones in India ever since the smartphone boom. Over the 21 years of existence, MediaTek has now garnered the fourth position among fabless chipset designers globally, grossing over $7.8bn revenue in 2017. The company’s key to success has been its research and development. In 2017 alone, the company invested 24 percent of its revenues in R&D across various verticals including AI, Smart TVs, Deep learning and more. In fact, the Taiwanese giant is one of the top 10 investors in R&D among other semiconductor companies, even ahead of Nvidia according to semiconductor analyst firm, IC Insights. MediaTek started off with making chips for optical drives, feature phones and colour TVs. It remains the largest maker of chips for feature phones till date and soon enough expanded into making chips for smartphones and tablets. There too, the company gained second and first position respectively, but now that smartphone growth has mostly plateaued, MediaTek is investing heavily into smart devices like Amazon Echo and 5G connectivity. The company’s meteoric rise to success has seen it collaborating with leading tech companies across the world — Google, Cisco, Amazon, Microsoft, Sony, and a dozen other partners which constitute almost every consumer tech brand. Lenovo, Acer, Netflix, Xiaomi, Tencent. You name it. They have it. The partnerships are so deeply rooted that one out of every five households have something or the other with MediaTek’s tech in it, according to IC Insight’s analysis. The Taiwanese chipset maker has been in India for long, as well. They entered the market back in 2004 and now, MediaTek powered phones need no introduction. It does have the perception of lagging behind its rival Qualcomm, but the company is aiming to fix that. The company has taken a four-pronged approach to making a name for itself in India - A strong focus on R&D and innovation, support for Indian national device standards, collaboration with universities, and defining global protocols based on Indian use case scenarios. But more than that, it’s the company’s focus on the next wave of innovation that proves MediaTek is serious about India. MediaTek is actively testing its 5G modems in collaboration with Reliance Jio. There have been rumours about the company making the chipset for the next JioPhone which is reported to be an Android Oreo (Go Edition) device. The company does have the MT6739 chipset designed specifically for Android Oreo (Go Edition) phones built in collaboration with Google. Furthermore, there are strong rumours of Xiaomi collaborating with MediaTek to bring out a phone powered by a MTK chipset. Xiaomi was earlier legally banned from using MediaTek chipsets after a lawsuit filed by Errisson. The ban has finally lifted and we received strong indication from MediaTek about a possible collaboration with India’s most popular smartphone brand. Over 60 percent of MediaTek’s revenues come from selling chipsets to smartphones in India. Partnering with Xiaomi will only bolster the company’s popularity. There is a perception in India that MediaTek’s chipsets are not as good as Qualcomm’s products. However, the significant difference in price of a smartphone powered by MediaTek as compared to Qualcomm has helped the Taiwanese chipset designer to sell more phones in a price sensitive market like India. Currently, the company has three major chipsets powering smartphones in India. The MT6739 for Android Go phones, the Helio P22 and the P23 for the mid-range devices and the Helio P60 for premium chipsets. But thanks to the relationship MediaTek has with its customers like Oppo and Vivo, the price differentiation between the chipsets has been blurred. The Oppo F7 priced above Rs 20,000 is powered by the Helio P60, but so is the new Realme 1 priced under Rs 10,000. The business model of MediaTek allows the company to be present across various price points, offering the same compute power. It then becomes the OEM’s responsibility to maintain the consistency. The company’s new shift of focus on AI has also helped. The Helio P60 comes with a dedicated APU to offer on-device AI capabilities. MediaTek claims it’s one of the most efficient AI chips around. The APU in combination with its Neuropilot AI platform has helped create its own ecosystem. Partners like Tencent, Arcsoft and the likes have developed applications like face recognition, face unlock, camera beautification, and more. These features are offered by MediaTek as part of its turnkey solution which helps entry-level players like Comio and Mobistar also offer these features which otherwise they would have had to spend millions to create on their own. While the company’s revenues are now less reliant on smartphones and tablets on a global scale, the focus on smartphones in India is stronger than ever. There are other sources of revenues for the company as well. MediaTek has invested around $100mn in Indian semiconductor companies and fintech companies. Paytm and MobiKwik are two of them where MediaTek owns shares. There’s also active development of automotive technologies that are once again being developed as turnkey solutions. That includes the development of AI hardware and sensors that can power a driverless experience. By 2020, MediaTek promises smart radars, modems for cars, next gen telemetrics and ultra short range radars. The company envisions a world where cars can seamlessly talk to each other and be smart enough to drive on its own. Once 5G becomes a reality, automobile manufacturers in India can also leverage the same technologies developed by MediaTek. MediaTek’s global presence cannot be denied. It might have a smaller team as compared to other fabless chip designers, but the company is almost omnipresent in the consumer tech industry. Smart TVs, smart speakers, smartphones and ASICs for specialised application and hardware. However, MediaTek operates solely as an engineering company. While it spends over 25 percent of its revenues on R&D, less than 10 percent is spent on branding and marketing. 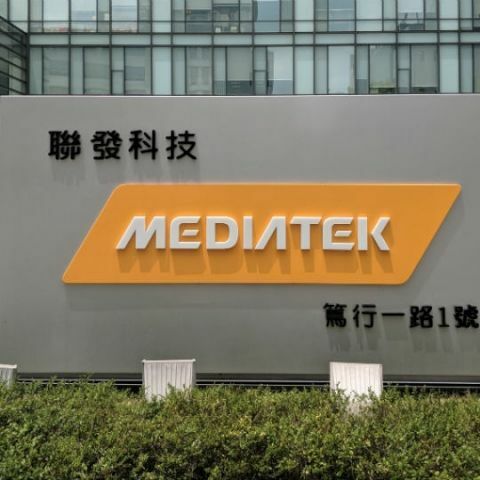 MediaTek leaves it to the OEMs to speak about its innovations, but unfortunately that doesn't always happens and the company remains behind the scenes most of the time. Hopefully, that should change and we can see MediaTek coming out of the shadows to claim the credit it deserves.